I was worried that I wouldn't be on time with this, the first ornament of the new year for this SAL. 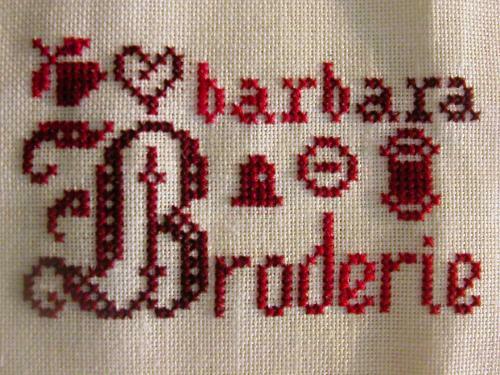 Last year, I stitched over 20 ornaments, thanks to this SAL, but I wasn't very systematic about it. I'll have to do better this year! Thank you, Jennifer, for the suggested themes. 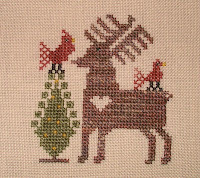 As usual, I simply could not make up my mind which of my fantastic holiday patterns to stitch ... and then this one popped up and it was a clear choice! This is simply called "Christmas Ornament 2001" and is designed by The Needle's Content, a wonderful Dutch designer. Stitched in my choice of overdyed and blended DMC floss.